The rotator cuff muscles need to work in synchronisation for effective shoulder function. If these muscles are tight or weak it can lead to musculature imbalances and shoulder blade dysfunction. This often results in pain. Heavy or repetitive movements, particularly in awkward positions (i.e. above shoulder height), greatly increase the risk of shoulder injuries. In the early stages of a shoulder problem, pain may be limited to specific movements or only evident after a day of heavy/repetitive work. If the condition is allowed to progress, the inflamed structures in the shoulder can cause impingement during movement, which increases your pain and decreases your range of movement. 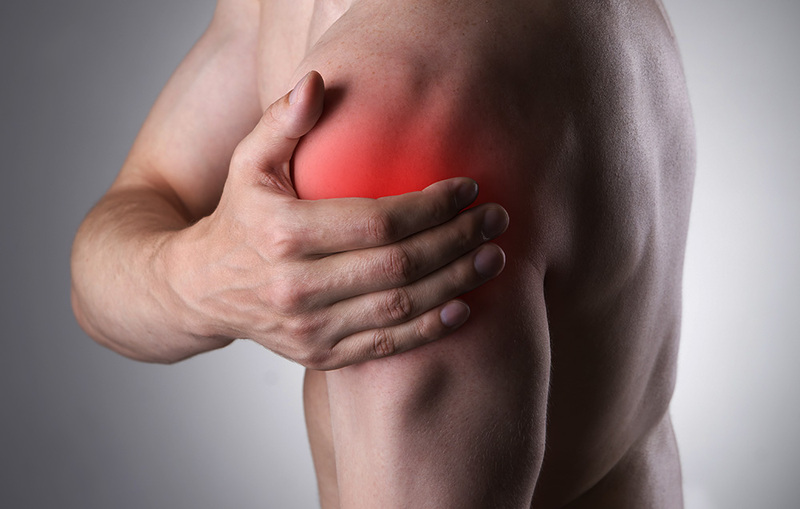 Shoulder injuries resulting from falls or impact, are classified as traumatic injuries. These can range in severity from bruises and minor muscle strains to fractures and dislocations. The more severe the injury, the longer the healing time and more extensive rehab that might be required. What can you do? The best initial treatment is “relative rest” from activities that worsen the symptoms. This does not mean do nothing, but may include things like: limiting reaching forwards or above your head, taking regular breaks from repetitive tasks or frequently changing your activities. Icing to reduce pain from inflammation can be useful; heat can be useful if you are experiencing stiffness. What can physiotherapy do? A thorough assessment will determine if your shoulder pain is musculoskeletal in nature or due to other medical reasons. It will include posture analysis, joint and muscle testing to measure pain and assessment of surrounding areas that may be referring pain to the shoulder. Treatment often includes massage, joint mobilisation to regain loss in range of movement, strength exercises, postural correction and taping. Maintaining good function of the surrounding joints of the shoulder such as the neck and mid-back will help to assist recovery. Good function and posture changes in the spine will ‘de-load’ the shoulder joint and tissues. Talk to your physiotherapist today if any of this information resonates with you. Article written by Healthfocus Physiotherapist Julia Rossiter. To book an appointment with Julia, contact Healthfocus Physiotherapy Albury.